Bright and charismatic Korean Pop girl group Oh My Girl began their first US tour at Center Stage Theater in Atlanta on Friday. Composed of seven members with personalities ranging from bubbly to mysterious-but-welcoming, the group was greeted by an enthusiastic crowd of fans (named “Miracles”), at the theater. With a setlist full of their most popular singles as well as a few underrated B-side tracks, even someone unfamiliar with the group’s music would enjoy this show. The girls have inventive and interesting choreography that fully encapsulates the audience’s attention with every small detail. Oh My Girl opened up the show with their debut single, “Cupid”. This song was a perfect introduction to the girls’ energy, as it has fun choreography as well as an easy-to-learn chorus. “Hey, Cupid has shot my heart! Turn around now, shot my heart!” was a lyric that the entire venue was excited to shout! They continued to show their energy, going on to their 2016 single “Windy Day”. This unique song has somewhat disconnected pieces that end up working extremely well together. The beginning and the verses are soft and guitar-accompanied, while the chorus and bridge have a more up-tempo and exciting feel. It was obvious the girls were enjoying watching the fans in the venue singing along to the lively song. After a quick moment to introduce themselves individually, they launched into two calmer tunes, “Butterfly” and “I Found Love”. These songs had more minimal choreography, and the girls focused on paying attention to the Miracles in the crowd, interacting with as many people as they could. It was heartwarming to see the fans’ reactions to being noticed by the girls, and it was clear that they really care about their fans by the way they reacted to their love! After the entertaining and educational Q&A, Jiho began to introduce their next performance- “I think you guys like this song? Do you know it? It’s Liar Liar!” As they started the energetic song, the girls were caught off guard as it started earlier than they anticipated. There were a few cute seconds of them running to their places before they got into the track. Liar Liar, in my opinion, has the most intriguing and interesting choreography from all their title tracks. The way the members are always connected in some way throughout the song is marvelous, and it adds to the charm of the fun song. Following “Liar Liar”, the song “Coloring Book” was performed, and just like most of their other singles, the chorus is easily imitable and irresistible to sing along to. Everyone in the venue was yelling “Color!” by the end of it. Next, they performed fan-favorite B-side from their latest mini album “Remember Me”, “Twilight”! “Twilight” continued to hold the audience’s attention and it seemed like everyone was dancing along to the bouncy song. Their most recent title track “Remember Me” was next, which seems like a new style of music for the group, but also fits their spirit perfectly. This was evident when they were performing it, as the audience and the members all seemed to be having loads of fun. The group began a closing talk, where they explained that the show was coming to an end. When the crowd began to grumble and moan, indicating that they were having too much fun to let it stop, the girls responded with the same. They didn’t want it to be over. Unfortunately, as all things do, the show had to come to a close. The last songs they performed were “Closer” and “Secret Garden”. “Closer”, a fan favorite, is a song that seems to have been a lot of fans’ introduction to Oh My Girl. There didn’t appear to be anyone in the entire place that didn’t know this song. “Secret Garden” is a sentimental song for both Oh My Girl and their fans, as it was the song that brought the group their first win on a music show in South Korea. This hard-to-achieve feat is something many K-Pop artists hope to accomplish, so “Secret Garden” will forever have a special place in Miracles’ hearts. A tune that inspires a nostalgic emotion like “Secret Garden” is always a great choice for an ending song. A heartwarming sensation filled the room while everyone was feeling bittersweet at the end of a great show. An encore is somewhat expected at most shows now, and at the end of Oh My Girl’s concert, many fans began chanting “Encore!” even though most of the audience wasn’t sure if it would or could happen. Fortunately, the members came back out for a final performance of “B612”. “B612” is a track with lyrics inspired by the story of “The Little Prince”, with a twist to fit Oh My Girl. “B612” was the first appearance of their fan club name, “Miracle”, and the reason it is so. In the lyrics, it says “It’s a miracle that you love me.” This is probably the reason Oh My Girl decided to perform this track as their encore, as it is a song that holds special meaning for the girls and their fans. It was once again clear that the members truthfully love their fans as they sang their hearts out to Atlanta Miracles. As the song came to an end, and therefore the show, many fans approached the stage to get handshakes or selfies from the girls, and the members tried to shake the hand of every fan that they could reach. This continued for quite a few seconds after the song ended as well. 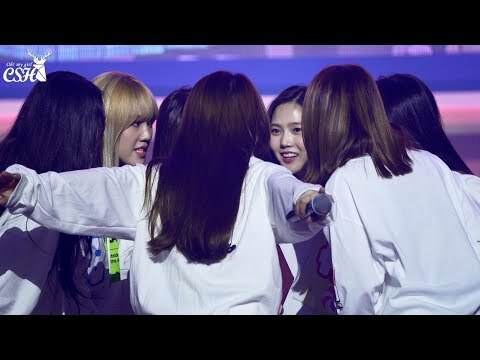 This “fan service”, as it’s called in the K-Pop world, was above and beyond what the girls needed to do. It was sweet. 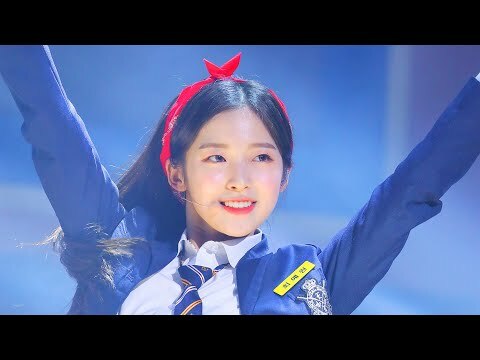 Throughout the show, I couldn’t help but recognize that Oh My Girl is a group that possess the energy needed to be truly magnetizing performers. These girls have it. They dance extremely well and they sing beautifully. They have songs for every attitude, whether you are wanting to jam out in the car or cry longingly for a lost lover. They showcased this versatility from one end to the other, sincerely and gracefully. While they did say they would love to come back to Atlanta, I truly hope it happens so more people can experience their talent in person. They were magnificent. +4	04.22	모두들 오마이걸 2기 팬클럽 가입 잘하셨나요? 04.22	#스쿨어택2019 스쿨어택이 돌아왔습니다!🤞 #아이돌라이브 에서 우리 학교 신청하고 학교에서 아이돌을 만나봐요! #스쿨어택2019 스쿨어택이 돌아왔습니다!🤞 #아이돌라이브 에서 우리 학교 신청하고 학교에서 아이돌을 만나봐요!